There are hundreds of photography apps available for iOS and Android devices that will help you take better photos. Ok, ok…so that’s not much of a secret. However, what some new photographers don’t realize is that many of the very best photography apps are totally free. Photography is hard enough as it is, so having a little help never hurt anybody. And if it’s free, even better! Below, I’ve listed 13 of my favorite free photography apps. I hope you find them useful for your photography as well. My go-to editing app for smartphone photos is VSCO. 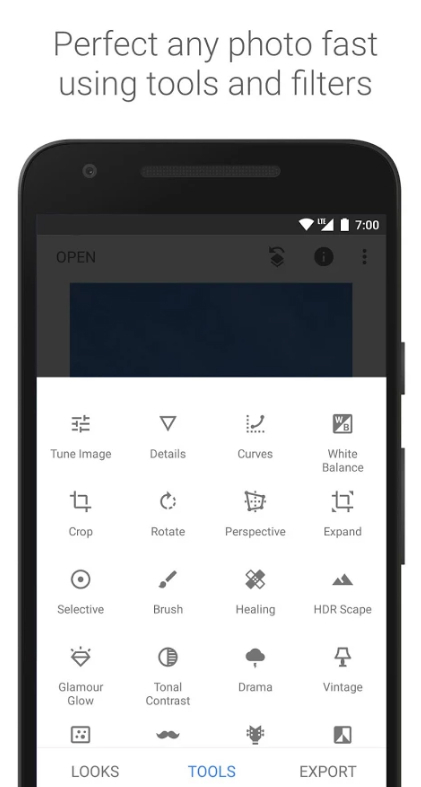 Hands-down, it offers some of the best filters of any editing app available today. Full disclosure – there are in-app purchases, but even the basic VSCO setup is quite powerful. Not only can you shoot in RAW, but you also get manual exposure controls, separate focus and metering controls, and white balance controls as well. There’s an entire VSCO community where you can share your images, journal, collect images from other VSCO users, and otherwise find inspiration from other photographers. Another excellent editing app I often use is Snapseed by Google. 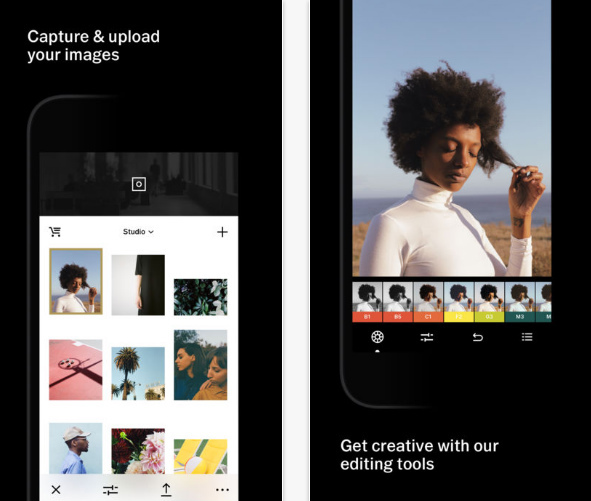 Available on both iOS and Android devices, Snapseed, like VSCO, offers a suite of editing tools that allow you to add filters and effects to your images. But because it’s backed by Google, Snapseed has some pretty amazing specialty features. You can use the “face enhance” feature to add focus to a person’s eyes, smooth out their skin, or even add lighting to their face. The “face pose” feature allows you to correct the pose of portraits using a three-dimensional model. You can also create double exposures by blending two photos together. In other words, if you’re looking to get super creative with your images, Snapseed will become one of your favorites! If you’ve got an iOS device, Magic Hour is a fantastic app that will help you identify when Golden Hour – the best light of the day for outdoor photos – occurs. Not only that, Magic Hour will let you know how long Golden Hour lighting will last at your current location. It gives you a short weather summary, too, in addition to the precise time of the sunrise and sunset. It’ll even give you details about the moon’s activity, including the next moonrise and when you can see the next full moon. If you want to take the best outdoor photos – with your phone or with your traditional camera – this is the app to get! With the Dark Skies app, you’ll be a much more informed photographer so you can get better shots of the night sky. That’s because Dark Skies takes information about your camera and the focal length of your lens and uses the 600 Rule to determine what exposure settings you can use to get clear, crisp, images of the stars without any star trails. One of the most complicated parts of night photography is figuring out what settings to use, but Dark Skies takes care of it for you. That means less time experimenting with settings and more time taking photos that are dialed in from the start. 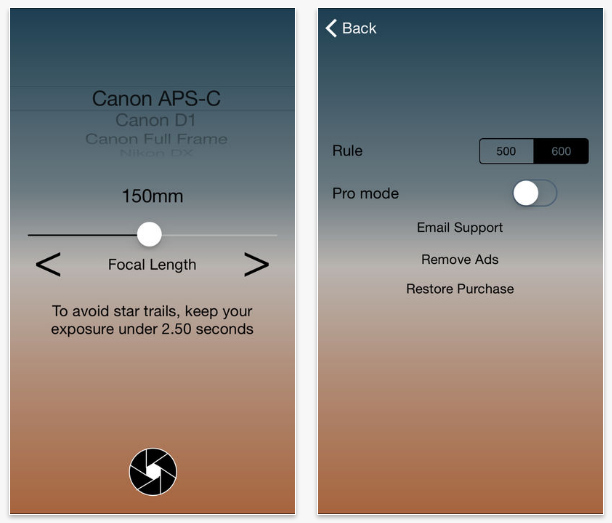 Yet another app that will help you time your outdoor shoots to perfection is Sun Position. 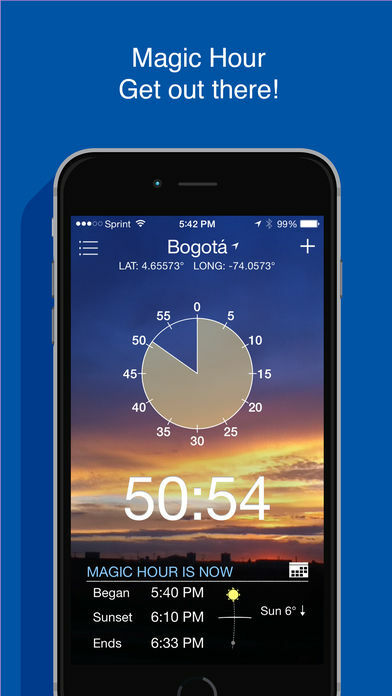 As you might have guessed, this app tells you where the sun will be in the sky at any time on any day. It’ll also give you sunrise and sunset times in addition to the path of the sun and the moon across the sky – which, by the way, is shown on your phone’s screen using augmented reality. Add in moon phase information, moonrise and moonset times, and Golden Hour and twilight times, and you’ve got a fully featured app to help you plan and time your outdoor photo shoots. 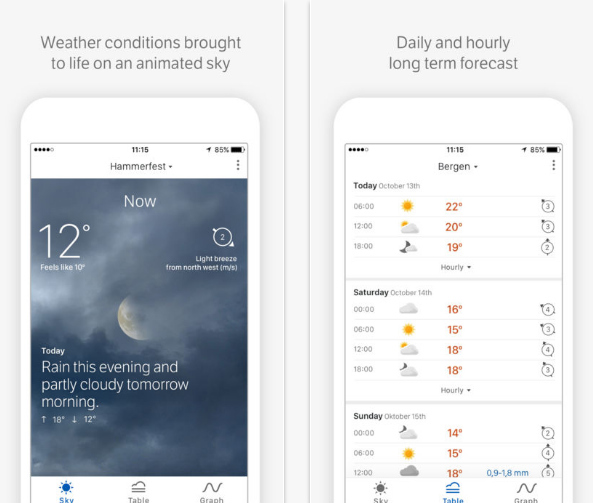 This handy weather app by the Norwegian Meteorological Institute and NRK is extremely reliable with pinpoint forecasting and accurate weather updates. You don’t have to speak Norwegian to use it, either! It’s packed with more than 10 million forecast locations from every part of the globe. If you’re scouting a shoot location or find yourself just wandering around with your camera, the app’s GPS function will locate the nearest forecast location to give you the most accurate forecast possible. That means that if you’re into landscapes, natural light portraits, or any other type of outdoor shooting, this is a must-have app. 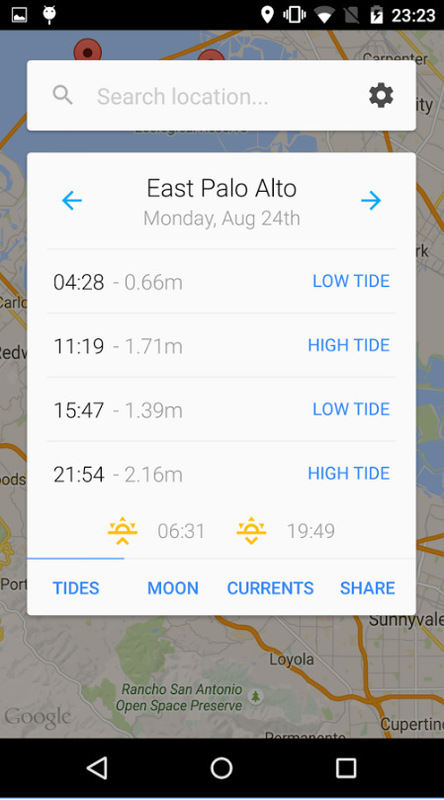 If you’re like me and you spend most of your time shooting ocean scenes, My Tide Times will be an app you put on your home screen and never move. It’s an excellent planning tool that allows you to get to your desired shoot location with plenty of time to spare to catch the tide coming in or going out. It’ll tell you how high the tide will be, too, so you can safely plan your photo shoot. With data from more than 9,000 tidal stations in more than 40 countries around the world, the chances are good that your favorite beach will be covered. Calculating hyperfocal distance can be difficult, especially if you’re not very good at math (like me). 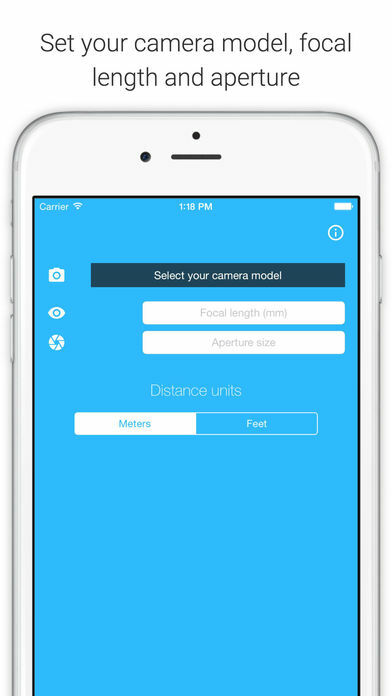 But, rather than struggle with the equations needed to calculate hyperfocal distance, just use this app and it’ll do it all for you. 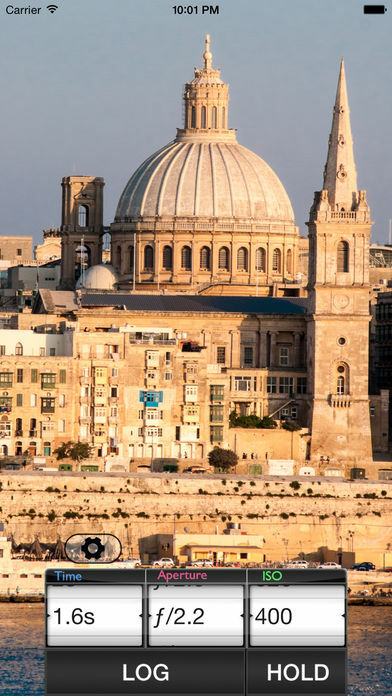 You pick your camera from its onboard list, enter your aperture and focal length, and press a button, and voila – you get the closest distance you can focus while keeping everything else in the frame sharp. This handy app is a godsend because it turns your phone into a light meter. Having the ability to quickly get a meter reading is tremendously helpful so you can better understand what exposure settings to use before you ever even take your camera out of your bag. 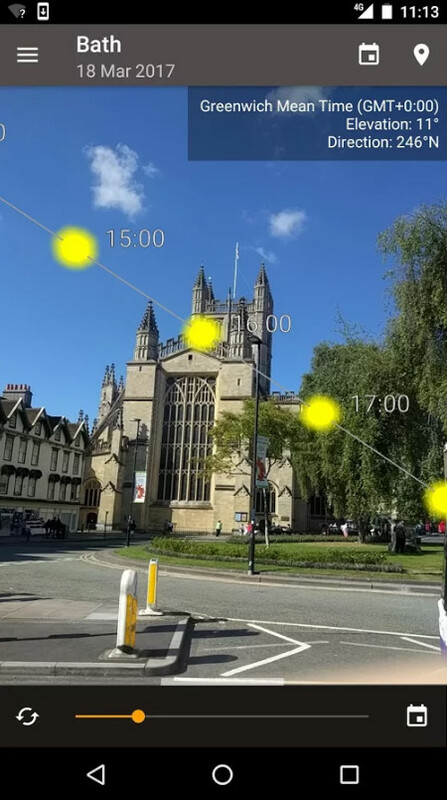 Even better, the app will record light readings, that way when you’re looking for locations to take photos, you know what the meter readings are for a certain time of day. The app even attaches a picture of the location where the meter reading was taken, that way you know precisely where you were when you got the readings. If you take outdoor portraits, this will become a favorite app for sure. If you’re getting into portraiture and use artificial lighting setups, Sylights is the app for you. It gives you the ability to create lighting diagrams, that way you can make a note of where each light was placed in relation to the model. 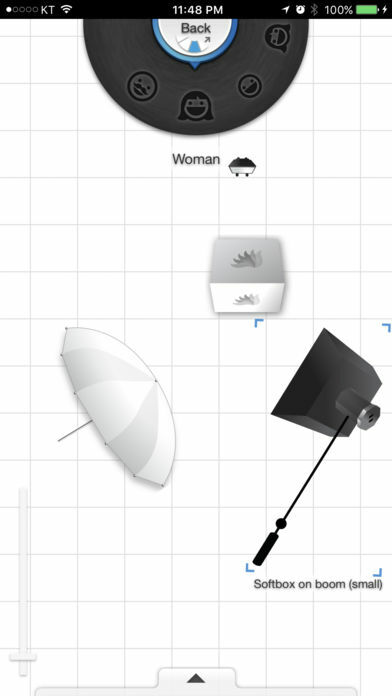 You can even send the diagrams you create to other people, that way if you have help on the day of the shoot, they know exactly what gear you need and where you’ll need it placed. If you want to replace the native camera app on your iPhone, GorillaCam is certainly one to consider. It has fun features like burst shooting, a self-timer, and a time-lapse video function. In fact, the time-lapse option gives you the flexibility to determine things like the duration of the video and the interval between shots. 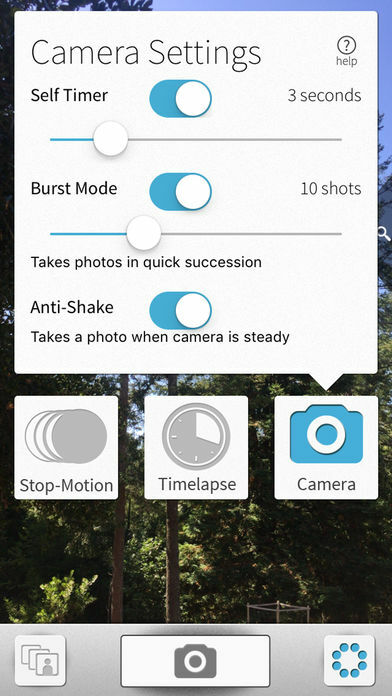 There’s also a remote shutter release so you can trigger the shutter on your phone from another phone with the GorillaCam app, which can come in handy when you’re out shooting with friends and want to take a group photo. 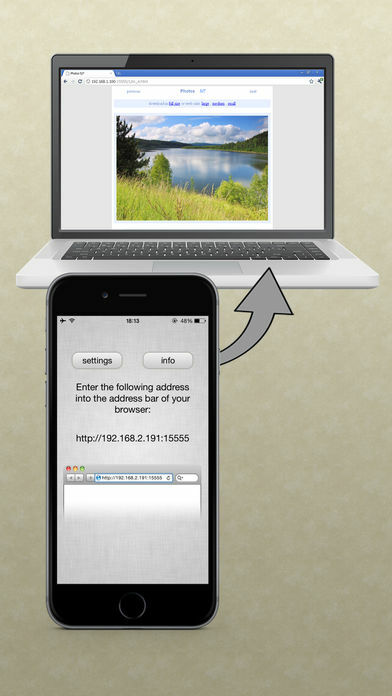 A must-have app for all iOS users is Wi-Fi Photo Transfer. The app allows you to pull entire albums off your camera roll so you can maintain the organization of your images. If you have a Mac computer, as long as it’s on the same Wi-Fi connection as your iPhone, you can use a web browser to get into your phone and download all the images in an album into a zip file. This is especially handy if you need to send a lot of images to someone! If you have designs on becoming a professional photographer, you’ll need a way to get release or property release forms signed quickly and easily. This app does just that. 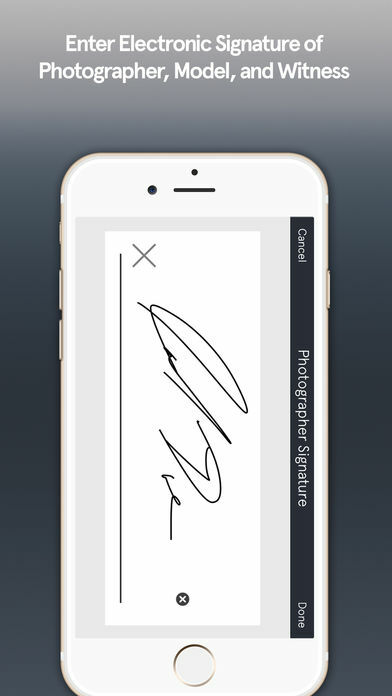 Releases offers standard templates that give you a form that members of the photo shoot can “sign” right on your phone or tablet. Once signed, you can attach a photo to the form, and then the app creates a PDF file that’s sent via email to the powers that be. It’s great for digitizing everything, and it’s even better for those spur-of-the-moment occasions when you need to get a release signed.